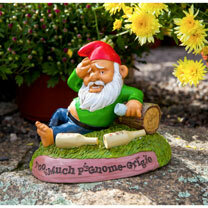 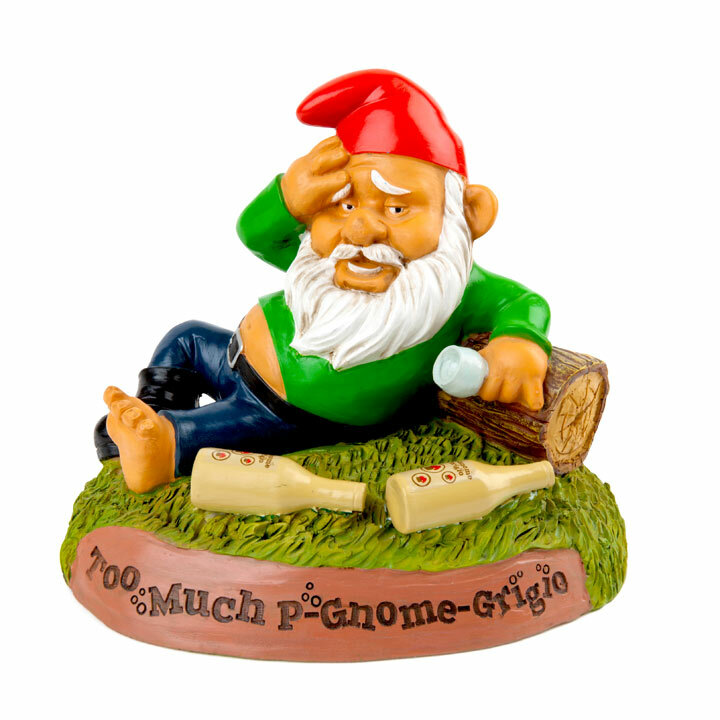 Garden Gnomes are known for being able to drink with the best of ’em, but this one had just a little too much P-Gnome Grigio. 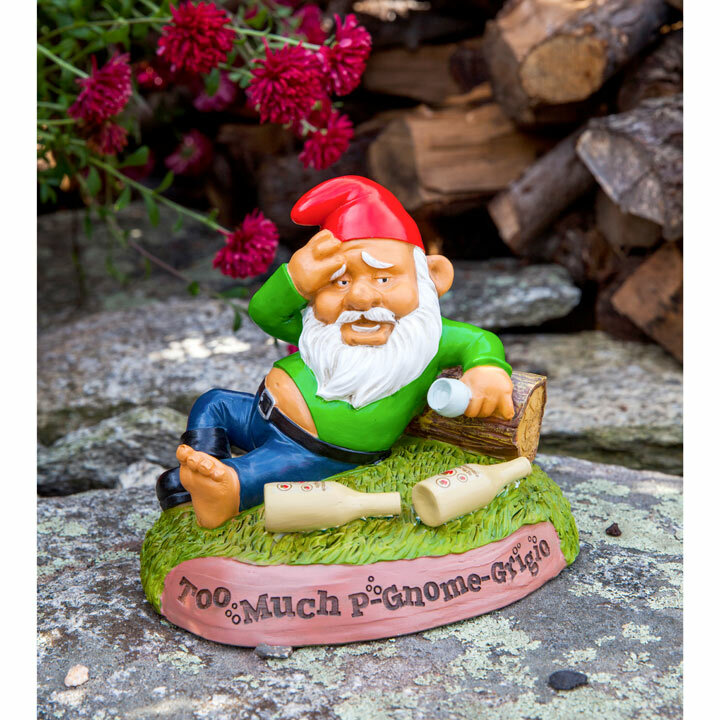 Great for gardens, vineyards and collector shelves. Made of durable cast polyresin and withstand the elements. Approximately 9" tall.